After Eid party, now Salman fans are waiting for a Diwali gift from Salman. 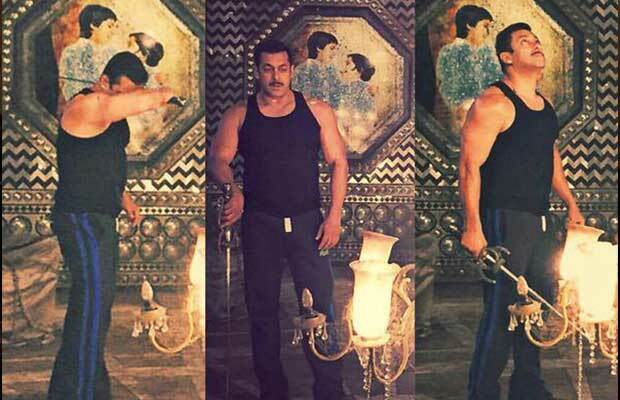 However, the first look of PRDP is yet to release. While, it is confirm that first look poster will be revealed with Sooraj Pancholi's Hero, now we hear that PRDP trailer will be attached with Akshay Kumar's Singh is Bliing. Singh is Bliing will be releasing this October 2nd and the trailer of PRDP will be released over multiplexes, cinema hall and even the small screens on the same day. However, it is being said that fans will get to watch the trailer online in advance! Makers are planning to release the trailer over internet by September 30th. See Also : Salman Khan's Prem Ratan Dhan Payo will Make you Cry!! Prem Ratan Dhan Payo is a Rajshri Productions and Fox Star Studios film and is directed by Sooraj Barjatya. Film has Salman Khan playing double role and it also stars Sonam Kapoor, Swara Bhaskar, Neil Nitin Mukesh, Armaan Kohli and others. PRDP is scheduled to release on November 12th.